Martyn Jones is co-leading a university initiative for research, education and training in Social Support and Care. He also has particular responsibility for developing collaborative research and education with the social services sector. 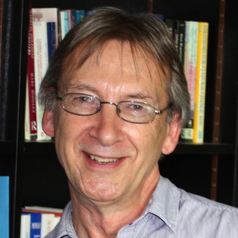 Prior to his appointment at RMIT, Martyn was Director of the social work programs at Deakin University. Martyn has been involved in social work education for several years, both in England and Australia. He has served on many university committees, particularly in the areas of ethics, equity, work integrated learning and governance. With a professional background in social work, Martyn has maintained an interest in practice issues and the impact of organisational and policy contexts. He has a long standing interest in the place and use of research in professional education and practice.